I consider myself very lucky. 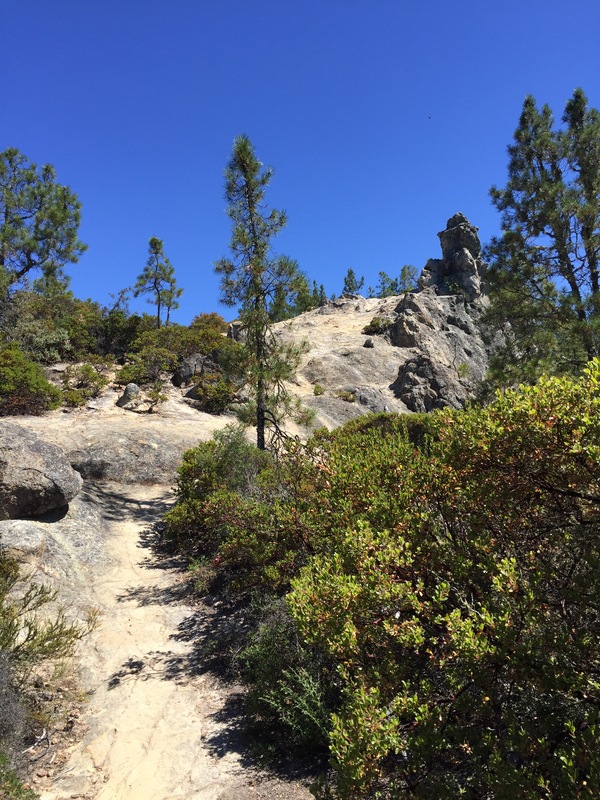 I love the outdoors and have so many great places to hike here in Northern California. 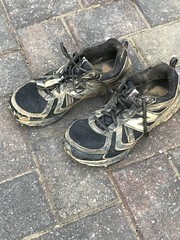 But, sometimes, I catch my “Engineer Brain” focusing on how many miles I’ve hiked, or which trail to explore on the map. When, I should….well, look up. 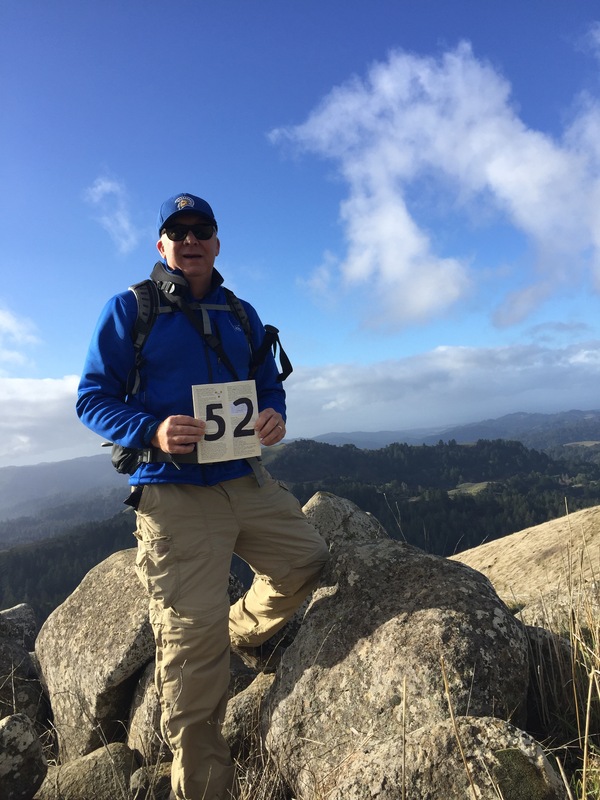 I completed my 30th hike of the 52 Hike Challenge (see, there is my Engineer brain…LOL!) this past Sunday at California’s first state park. 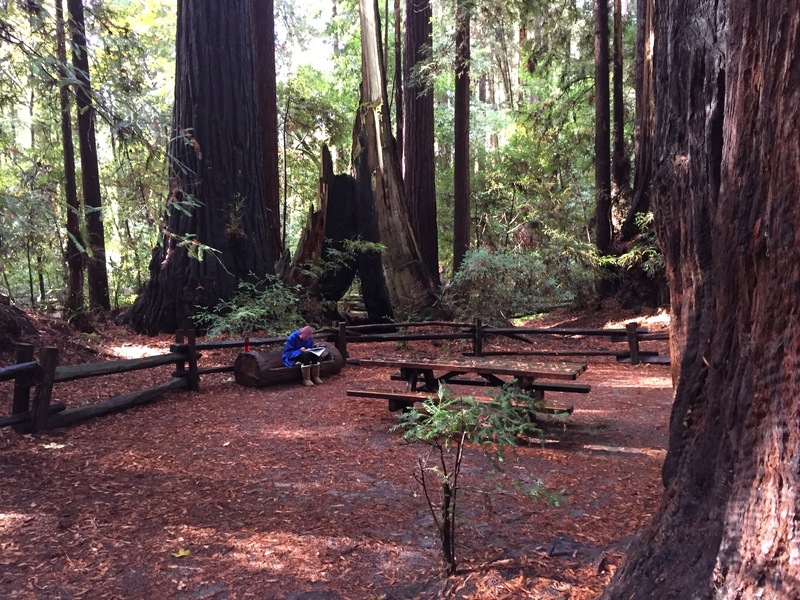 Located only a little over an hour from San Jose/Silicon Valley, Big Basin Redwoods State Park is located in the heart of Redwood Country. It is known for big trees. Really big trees! Coast Redwoods make their home in many parts of the mountains that surround San Jose/Silicon Valley. I find it to be interesting that a place that focuses so much on the future is surrounded by Coast Redwoods that are anchored in the past. I think that it is a good balance. 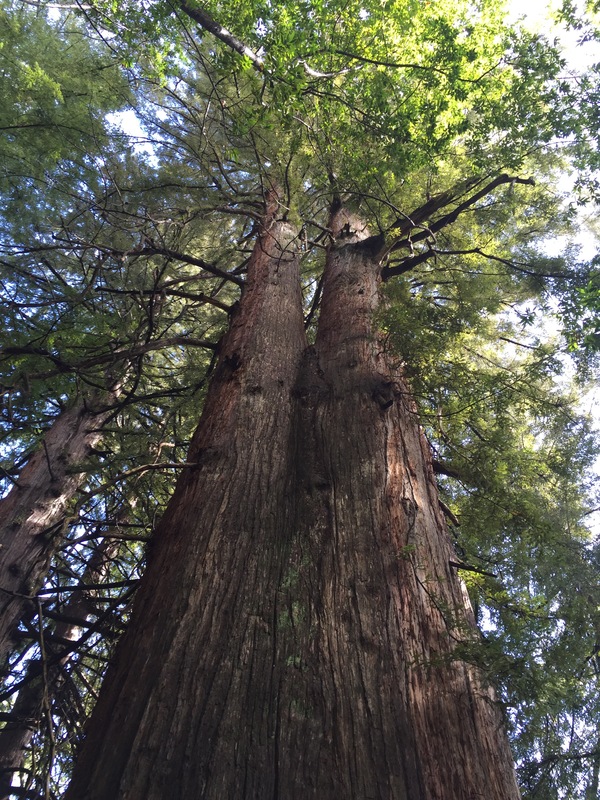 If you are ever out this way on business or vacation, I strongly urge to take some time to visit Big Basin Redwoods State Park or, Henry Cowell Redwoods Sate Park and….look up. 2015 was a big year for me hiking. No, I didn’t actually climb Kamet in the Himalayas. However, the total elevation gain from all of my hikes did add up to 25,407 feet! Kamet, pictured here, rises up to 24,446 feet. Kamet’s elevation is the closest that I could find to the total elevation I gained while hiking over the year. 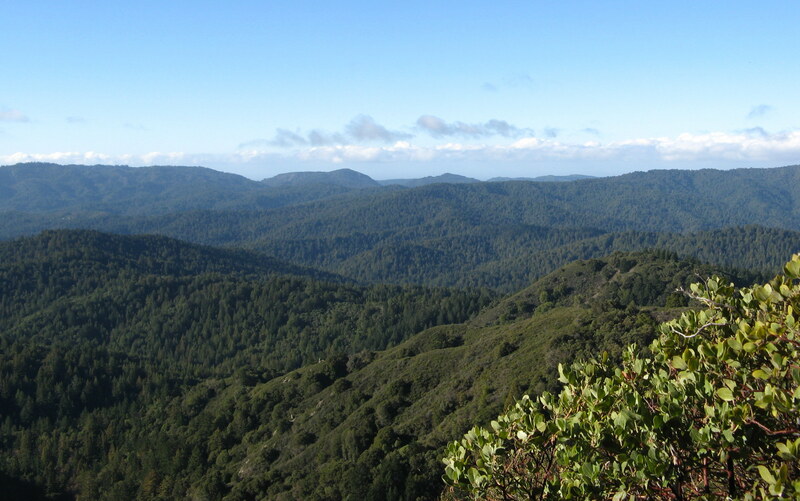 For 2015, I will hike at least 20 times for a total of 120 miles and complete at least 20 “training” hikes around my neighborhood at the base of the Sierra Azul Mountains here in Northern California. 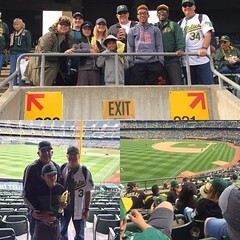 I will also venture further out into the East Bay and up the San Francisco Peninsula to discover more trails, take more pictures, and write more about my adventures. 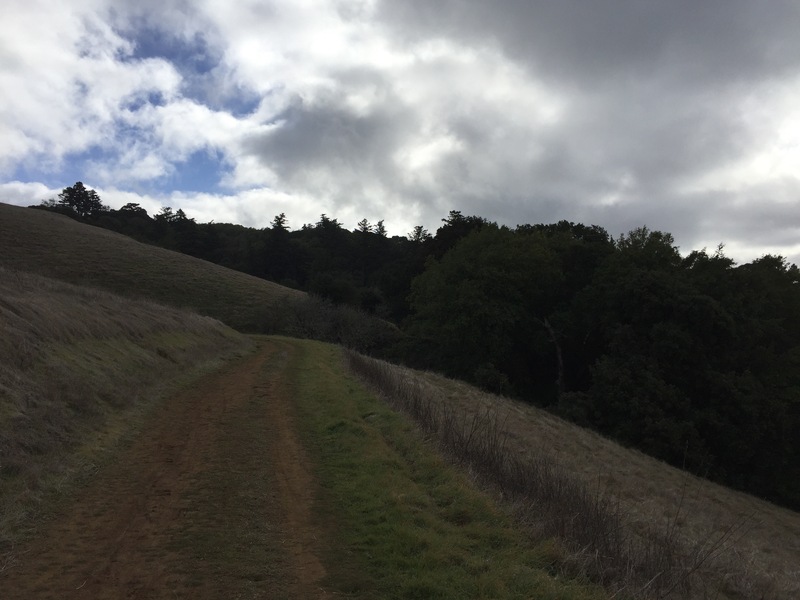 Finally, I would also like to hike in any OSP of the Midpeninsula Regional Open Space District (MROSD) that I have not yet visited and explore more trails in the Santa Clara County Open Space Authority lands! Unfortunately, one goal that I didn’t accomplish was to hike in the East Bay Regional Parks. This will be a goal that I will carry over to 2016! So, where will I go in 2016? 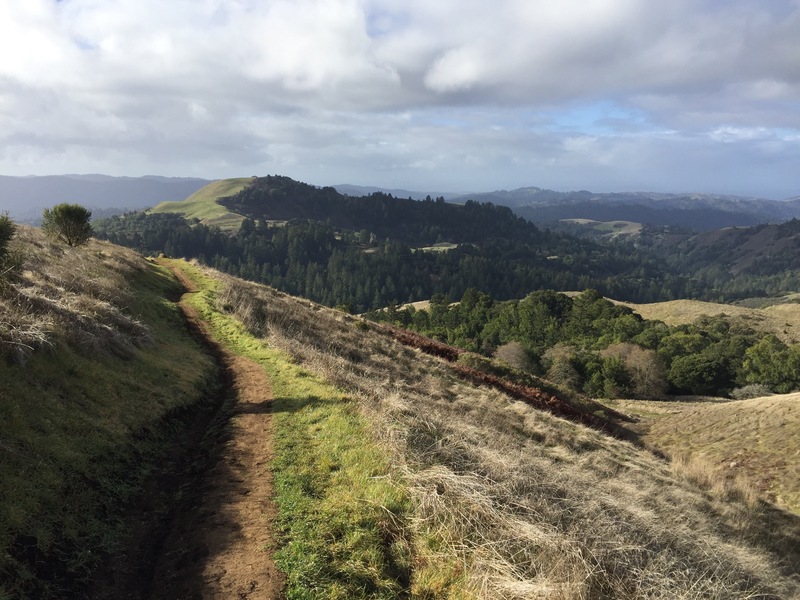 I’d like to explore even more of the great trails at the Mid Peninsula Regional Open Space District, the Santa Clara Valley Open Space Authority, the Santa Clara County Parks, the California State Parks, and the National Parks here in California. To help ease my “engineering brain” which compels me to assign numbers to my hikes, I’ve signed up for the 52 Hike Challenge. I will be having fun challenging myself while I explore California! Thanks for visiting my hiking / photography blog! 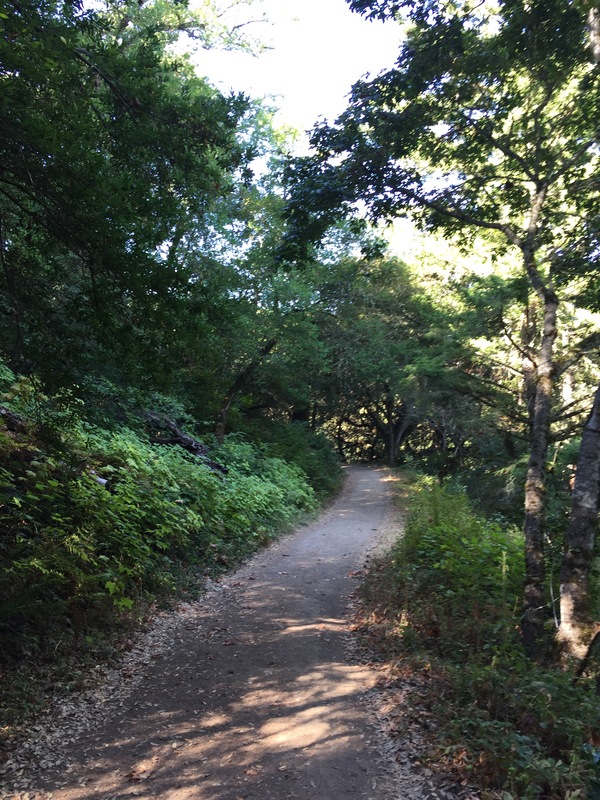 I took this picture while hiking down a hiking/equestrian trail in the Santa Cruz Mountains earlier this week. If you look to the left of this trail, notice how these Coast Redwood trees are growing in a circle. What you can’t see is the trees are growing around a stump of an old growth Coast Redwood that was cut probably more than 100 years ago. One of the secrets of the longevity of our Coast Redwoods is that new trees will will sprout from the shallow roots of the “mother” tree…even if it has been cut down! In fact, a DNA sample would reveal that these trees growing in a circle are genetically identical! Our youngest daughter had an English writing assignment that required her to go out into nature and record her observations. Fortunately, we live close to the Redwoods here in California. Even though it was a cold and wet day, we decided to go to Henry Cowell Redwoods State Park to hike among the old growth redwoods. She found a great “study hall” across from the John C. Fremont tree. 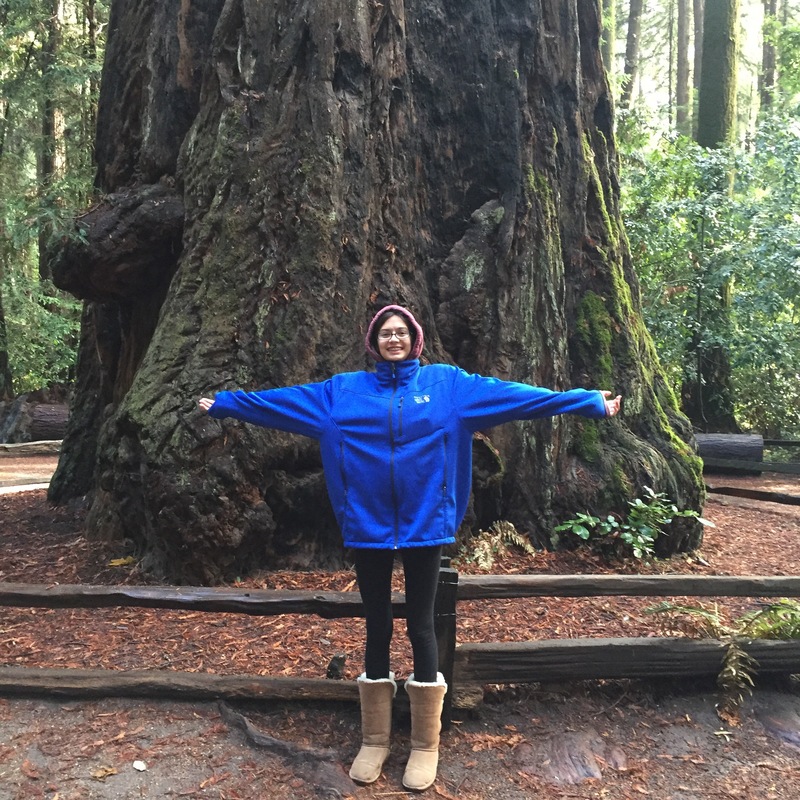 She also borrowed my jacket…it can get cool in the shade of 250 foot tall redwoods! Where are you doing your homework this week? Today’s Thursday Picture is from my very first hike that I posted on this blog back in 2013. 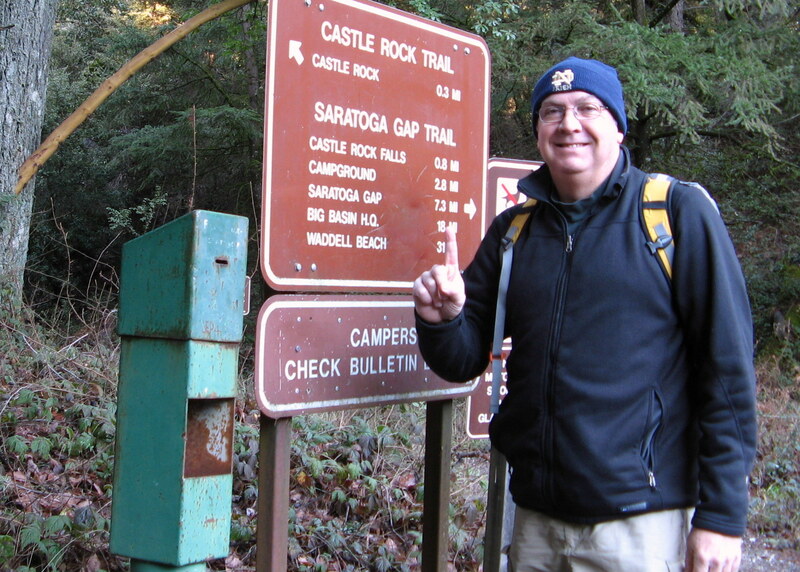 As a new year’s resolution, and with a little help from my daughter Kelley, I started my hiking blog, “I’m Over the Hill” to record my hikes and post some pictures of my adventures on the trail. It was also a way to force me to take the time to exercise by doing something I really enjoy…hiking. I’m posting pictures from my first hike because I hit a significant milestone today. 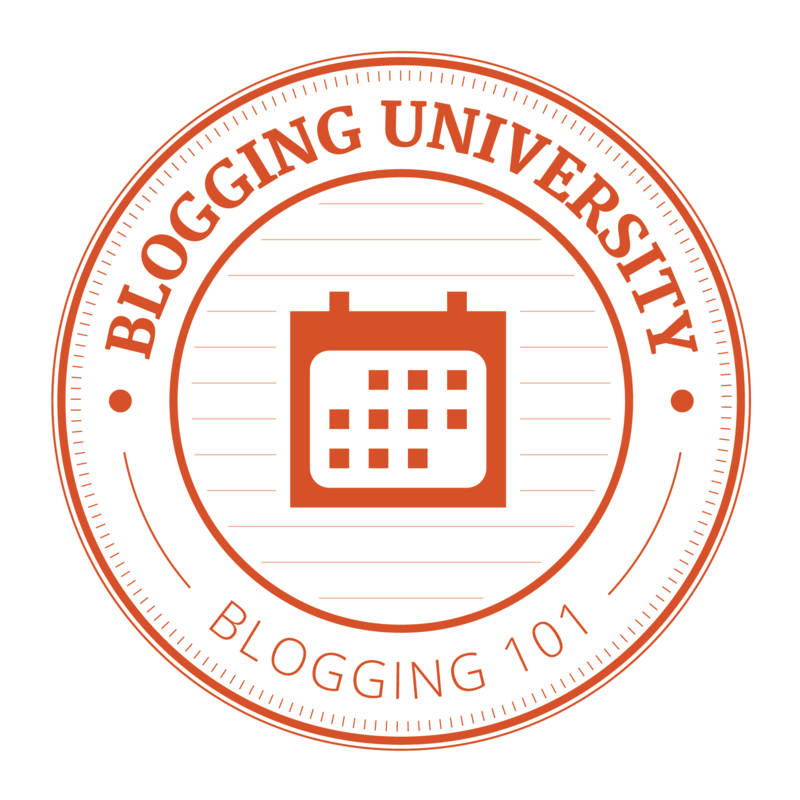 “I’m Over the Hill” attracted the 100th follower and also earned the 1,000th “like” today! Now, I’d like to think that my brilliant prose and my incredible shots had something to do with these achievements. 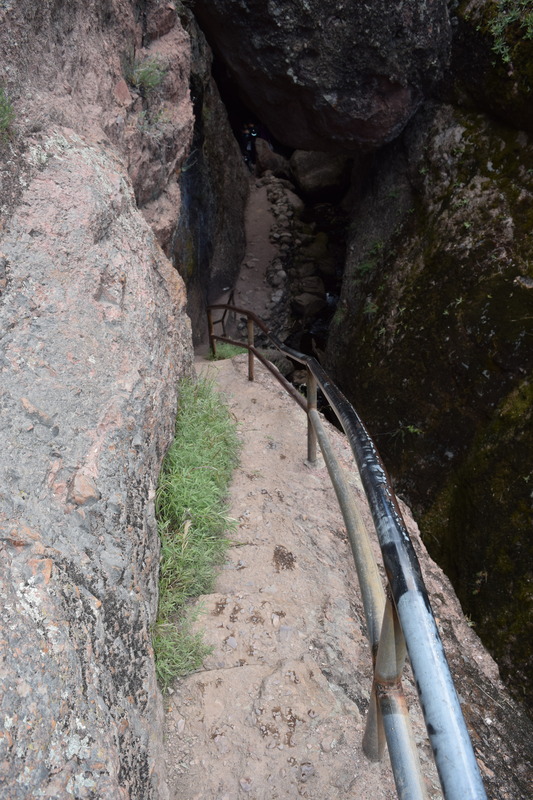 But, the truth is, when I am able to hike in so many beautiful parks, wilderness areas, and open spaces, it is just not too hard to post something of interest to the outdoor and WordPress communities. So, I would also like to thank the folks at WordPress’ Daily Post for helping me to polish my writing and photography. I’ve only just begun! So, are you going home this weekend?